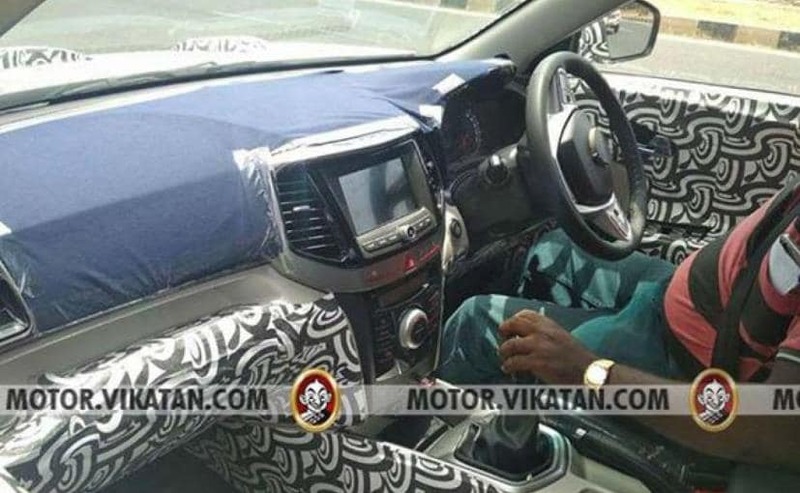 The recently spotted Mahindra S201 was seen with production-ready parts, including headlamps, taillamps and alloys. It will be the 3rd sub-4 metre SUV in the Mahindra's line-up after the TUV300 and NuvoSport. 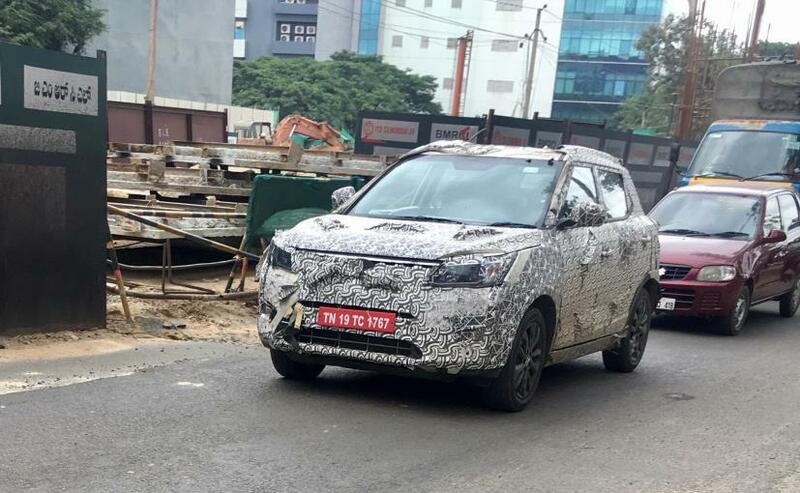 A near-production prototype of Mahindra's upcoming subcompact SUV, codenamed S201, was spotted testing again in India. Based on the SsangYong Tivoli, the new sub-4 metre SUV was seen sporting production parts, and this time around we finally get a clear look at the front section of the SUV, especially the new headlamps. 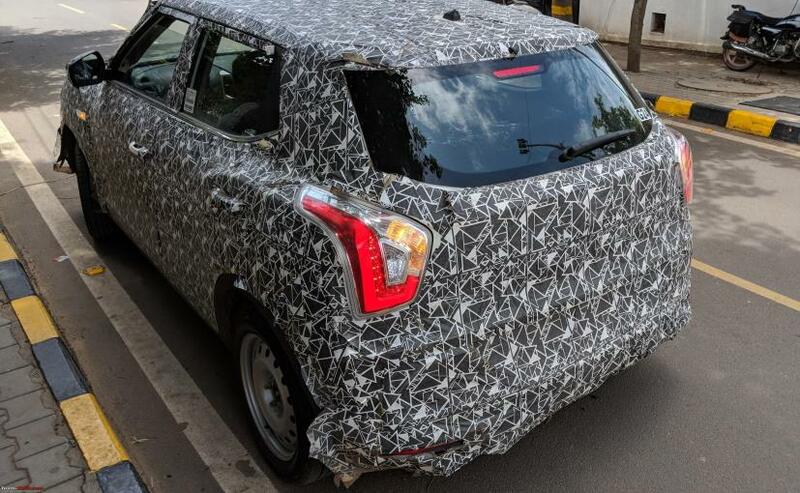 The SUV is still draped in heavy camouflage, so the body styling of the car is still a mystery, however, we expect it to be very similar to the Tivoli. The S201 will be the third sub-4 metre SUV in the Mahindra's line-up after the TUV300 and NuvoSport. Up front, the Mahindra S201 comes with large wraparound headlamps with black accents equipped with projector lights and integrated LED daytime running lamps and turn indicators. The grille is still covered in camouflage, but we see a hint of chrome detailing, while the front bumper appears to house a large air dam and horizontal foglamps. The S201 is also seen with a set of sporty black alloy wheels, large ORVMs and roof rails. In some of the earlier spy images, we also got to see a clear view of the new sweptback LED taillamps with integrated turn signals, along with a high-mounted stop lamp and spoiler. As of now, not much is known about the SUV's powertrain options, however, the new Mahindra S201 is expected to come with the existing 1.2-litre G80 turbo petrol and 1.5-litre diesel engines. Transmission duties are likely to be handled by a 5-speed manual and possibly an AMT unit. Now, this could be purely coincidental, but, the 'G 85' sticker on the SUV might mean this is the petrol variant of the SUV.